Will the BJP click ? As the election day approaches, the BJP intensifies its drive for conquering West Bengal where the party plans to set up its second fortress after Uttar Pradesh. The BJP, which suffered a major setback after its consecutive defeats in the assembly elections in Rajasthan, Madhya Pradesh and Chhattisgarh and the debacles in several by-elections, municipal and panchayat polls, wants to compensate its losses by gaining new seats in the Lok Sabha from West Bengal and other adjoining states. 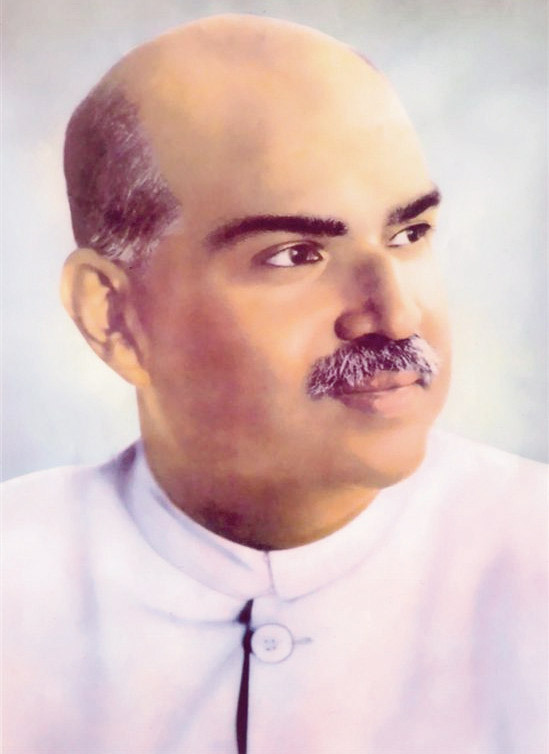 In the sixties, the then Jan Sangh, which later on became the BJP (Bharatiya Janata Party) was virtually a follower-less organization operating from the congested but busy business area at Burrabazar under the leadership of Dr Haripada Bharati and Prof Bishnukantoda Shastri. But in the later days, the party began to grow as it got new followers, mostly from business and trade communities of North India, domiciled in the city. In the seventies, Prof Shastri contested the state assembly election from the Burrabazar area and also won. He was then a lone BJP member in the state assembly. At that time, the party office was shifted from Burrabazar to Murlidhar Street on Kalutola Street and Central Avenue crossing, near Calcutta University. During the NDA government, Prof Shastri was posted as the Governor of UP and the BJP's state unit was handed over to Tapan Sikdhar. 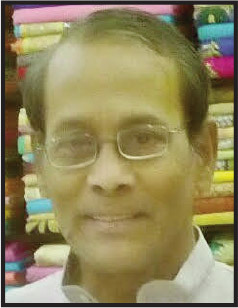 Sikdhar was twice a junior minister in the Vajpayee government when the TMC leader helped him a lot in winning the Lok Sabha election from the Dum Dum-Salt Lake area. At that time the BJP in Bengal also expanded. Several new leaders, including Satyabrata Mukherjee, a lawyer then, were also the party members. Mukherjee was a junior minister in the Vajpayee government. Both the Congress and the CPM alleged that it was Mamata Banerjeee who had invited the BJP and provided rooms for the party's offices in the state .The BJP now has grown as the second largest party in Bengal, next to the Trinamool Congress (TMC), by ousting the Congress and the CPM. 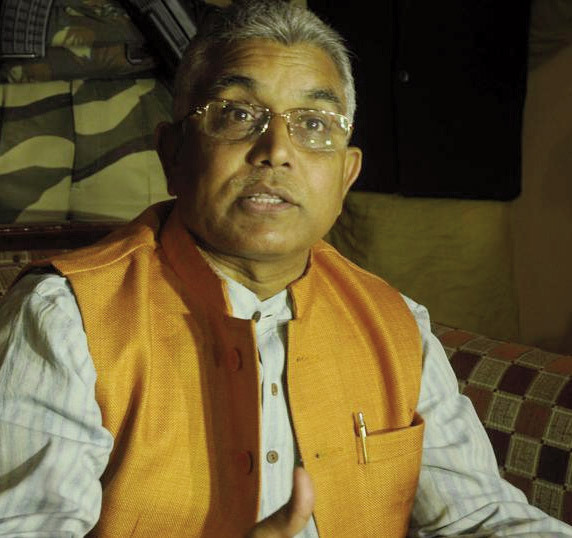 Dilip Ghosh The BJP state president, Dilip Ghosh( MLA from Kharagpur), says they are much hopeful that they would defeat the TMC in many seats as the people appear to have decided not vote for the party which is deeply engulfed in corruption--- Sarada and Narada scams and several other chit fund operations. He wants that the ongoing CBI inquires against Chief Minister Mamata Banerjee and other TMC leaders be intensified and the culprits be punished. 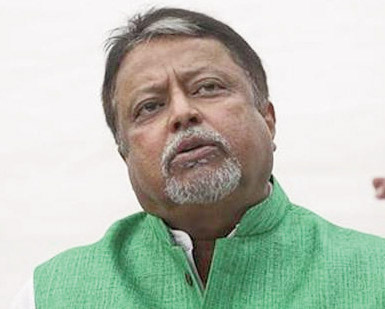 Mukul Roy Mamata Banerjee Former TMC leader Mukul Roy, following his dismissal from the party on charges of anti-party activities, has been now engaged in hiring and enticing some TMC leaders and workers. He also managed to get inducted into his party some TMC leaders and workers, though not very important and prominent ones. During the UPA government, Mamata got Roy appointed as Railway Minister and also gave him the responsibility of running the party as its general secretary. But after getting a call from the CBI for his alleged involvement, he changed his loyalty. 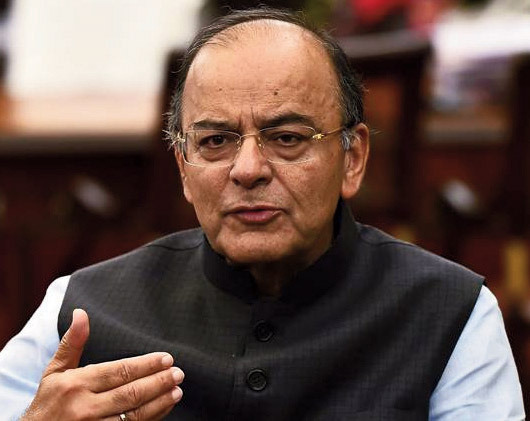 Arun Jaitley After meeting CBI officials at the CBI's headquarters at Salt Lake he flew to Delhi and met Union Finance Minister Arun Jaitley. No one other than Roy and Jaitley knew exactly what had transpired at that meeting. Afterwards Mukul was seen distancing himself from the party and frequently making corruption charges against Mamata and other TMC leaders and workers. 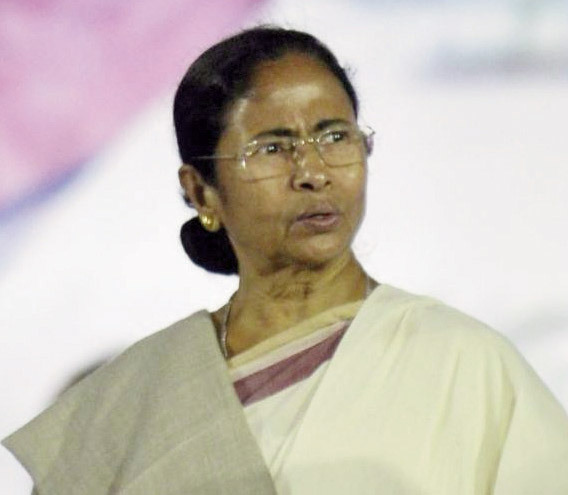 Mamata, is not much bothered about Mukul's betrayal and odd behaviour. She also does not think that his role will cause any damage to the party. Mamata is confident that in this election, her party would perform much better and may win a larger number of seats than her party had in the earlier Lok Sabha poll, when the TMC got altogether 34 seats out of the total 42 from West Bengal, placing it in the third place in the Lok Sabha after the BJP(268 seats) and the Congress(45).